answer Tiantai-school attacks upon the authenticity of the Chan lineage. dharma in the true school), 2 fascicles (t 51: #2080). Leiden: Brill Academic Publishers, Volume 94 of Sinica Leidensia, 2010. 305 p..
PDF: The Logic and Limits of the Genealogical Model for Chan History by Elizabeth Morrison, 2002, 29 p.
This dissertation is a study of religious lineage in Chinese Chan Buddhism, focusing on the writings of the Chan dharma heir Qisong (1007-1072). In Chapter One, I trace the process by which lineage emerged in Chinese Buddhism, showing that it was not a simple and automatic rejection of sastras and then sutras in favor of patriarchs. Rather, the notion of lineage arose in fits and starts as a supplement to or even justification of the transmission of texts and textual knowledge. In Chapter Two, I explore how lineage, while effectively bypassing traditional forms of Indian Buddhist authority, claims transmission from Indian figures. I argue that lineage may be a significant Chinese response to the fundamental Buddhist dilemma of the absence of the Buddha and the decline of the dharma. Chan patriarchs may be seen as the emphatic affirmation of some Chinese Buddhists that the dharma has been preserved and enlightenment is possible. In Chapters Three and Four, I recount Qisong's life and demonstrate that the view of him as either a mild-mannered "Confucian monk" or a history-distorting sectarian zealot is unfounded. 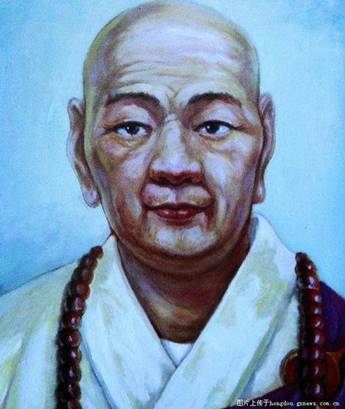 From Qisong's own language, it is clear that he regarded all of his activities, including an energetic letter-writing campaign to have his works on Chan history accepted at court, as the promotion and defense of true religion. In Chapter Five, I offer a close reading of Qisong's Chuanfa zhengzong lun, the historiographical essay accompanying his main historical work, the Chuanfa zhengzong ji, attempting to demonstrate the creative, sometimes historically casuistic, approach Qisong took to reconstructing Chan lineage from a wide range of sources. With Qisong, lineage became a direct object of discussion, and in Chapter Six, I present his understanding of lineage as the core of the Buddhist tradition. I also lay out Qisong's vision of Buddhist history in relation to lineage. In the Conclusion, I pursue these historiographical questions and find that Qisong brought Buddhist and Chinese patterns of history together into a grand narrative of perpetual preservation of the dharma transmission in a world wracked by misunderstanding. Yun-men had sixty-one enlightened disciples, but little is known of most of them. 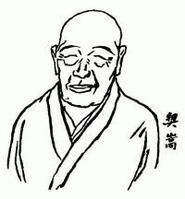 In the next generation, however, a successor of one of his disciples emerged as a leading writer and intellectual of his time as well as a distinguished Zen master. This was the great master Ming-chiao (1008–1072), who wrote extensively on secular subjects as well as religious and spiritual themes. Ming-chiao had many contacts among the Confucian intelligentsia, and he played a powerful role in the Zen influence on the emergence and development of Sung dynasty neo-Confucianism. Several of Ming-chiao's lucid essays on psychology and spirituality are presented here in the materials on the Yun-men House of Zen. THAT WHICH HAS FORM emerges from that which has no form; that which has no form emerges from that which has form. Therefore the path of supreme spirituality cannot be sought in being and cannot be fathomed in nonbeing; it cannot be lost through movement and cannot be gained through stillness. Is the path of sages empty? Then where does continual renewal of life come from? Is the path of sages not empty? What lives that does not die? To accurately comprehend both emptiness and nonemptiness in the path of sages would be desirable. Now then, to prove emptiness experientially, there is nothing better than to understand that which has form. To understand that which has form, there is nothing better than to know that which has no form. If you know that which has no form, then you can see into the light of the spirit. When you can see into the light of the spirit, then you can talk about the path. The path is where the spirit develops, and it is where consciousness comes from. Consciousness is a source of great problems. To say that the path of the sages is empty is to sink into a void of diffuseness, so that sickness becomes even sicker. Who in the world can cure this? The teaching of sages is in the path. The path of the sages is in awakening. Awakening means enlightenment; not awakening means not being enlightened. Not being enlightened is what separates the majority of consciousnesses from sagehood. Awakening does not mean gradually waking up; it means being completely awake. Complete awakening is the consummation of the task of sages. Being awake is called buddhahood; it is likened to a vehicle. By awakening, one completes the path of sages; by this vehicle one reaches the realm of sages. This is true of all sages, past and future. The awakening of sages lies within the normal awareness of ordinary people, but ordinary people wake up every day without ever realizing it. Even though they are awake, they are still dreaming; even though aware, they are still muddled. That is why the sages took the trouble to point it out to them, hoping that they’d seek awakening, inducing them to head for it, hoping they would attain it. Contemplating the mind is called the path; elucidating the path is called education. Education is the trail left by the sages; the path is the universal root of all living beings. People have long misunderstood the root seriously; if sages did nothing about it, everyone would end up ignorant. That is why the sages have given people great illumination. The mind has no outside, and the path has no inside, so there is no one who is not on the path. Sages are not selfish; the path does not abandon people; sages give everything that the path involves. Therefore their education penetrates both darkness and light, both the mundane and the transmundane; nothing is not penetrated. Penetration means unification. Unification is a means of rectification, so that everyone will have the same virtues as sages. For universal spiritual enlightenment, the path is supreme; for subtle functions of spiritual powers, the mind is supreme. When it comes to pursuing illusions and binding activities, nothing is worse that missing the root. When it comes to wandering in mundane routines, nothing is worse than death and rebirth. When it comes to recognizing the faults and ills of ordinary people, no one is more skilled than sages. When it comes to straightening the basis for all people, nothing is better than establishing education. When correctness is stable, there is illumination. When illumination is stable, there is sublimation. When sublimation is stable, the path is consummated therein. Therefore education is the great beginning of the sages’ illumination of the path to save the world. Education is the inconceivable great function by which sages take advantage of timely opportunities to respond to potentials. So it is that people of great potential go the immediate way, while those of lesser potential go the gradual way. The gradual way refers to the provisional; the immediate way refers to the real. The real is called the Great Vehicle, the provisional is called the Lesser Vehicle. The sages disseminated the great and the small among people of all kinds of potentials, so darkness and light were comprehended. Hearing the immediate in the gradual teaching or hearing the gradual in the immediate teaching are also ways in which sages are more subtle than angels or humans and unfathomable to angels or humans. Sages teach the provisional to induce people to head for the real; sages illustrate the real so that people will avail themselves of the provisional. Therefore the provisional and the real, the partial and the complete, always concern one another. Within the provisional, there is the manifest provisional and the hidden provisional. Sages’ use of the manifest provisional involves shallow teaching, a small path, to provide a small resting place for believers. Sages’ use of the hidden provisional involves other paths, other teachings, cooperating with the good and the bad, to provide nonbelievers with remote conditions for attaining enlightenment. The manifest provisional is obvious, but the hidden provisional is unfathomable. As for the real, it is final truth. In the reality of final truth, others and self are one. Because others and self are one, sages are such because of all beings. If we talk about the provisional teaching of sages, it would seem to be the great expediency that pervades all the goodness in the world, all the paths of the philosophers, for saving the world and helping people out. If we talk about the real teaching of sages, it would seem to be the universal path that pervades the universe and limits all things, finding out the truth and fulfilling nature for all the world. As for sages, their sagacity is in not dying or being reborn yet showing death and showing birth, the same as other people, without anyone seeing why it is so. This does not only mean people of ancient times with highly developed spirituality and knowledge. That is why their education includes the spirit way as well as the human way; there are ordinary virtues, and there are extraordinary virtues—it is impossible to fit everything into one generalization, and this cannot be discussed in the same terms as worldly ways. Attainment lies in mental penetration; loss lies in comparison of traces. Feelings emerge from nature, whereas nature is concealed in feelings. When nature is concealed, the path of ultimate reality is inoperative. That is why sages use nature for their teaching to educate people. Activities and movements in society start from feelings. The confusions of the masses are rectified by nature. How can society not examine the positive and negative aspects of feelings and nature? They know good and bad but not how good and bad begin and end; is that complete knowledge? Is it complete knowledge to know the end but not the beginning? Only the consummate knowledge of sages knows the beginning and the end, knows the subtle and the nonexistent, and sees what pervades death and birth, dark and light, and makes images and forms. The world is most extensive, but it arises from feelings. The universe is most enormous, yet it is contained within nature. Therefore nothing is more powerful than feeling and nature. Feeling is the beginning of being. When there is being, then there is affection. When there is affection, then there is desire. When there is desire, then men, women, and all beings are born and die therein. The experiences of death and life, good and bad, typically change; they begin and they end, cyclically passing away and regenerating unceasingly. Nature is the attainment of nonbeing. Ultimate nonbeing does not mean nonexistence; it emerges at birth and submerges at death, without itself dying or being born. The reason for the tranquillity of the path of sages is obvious: they only sense what is suitable. Now then, feeling is artifice, and it is consciousness; when you have it, that makes for affection, sympathy, intimacy. But intimacy makes distance, and distance makes for inconsistent good and ill. When you lose feeling, that makes for cheating, for cunning, for viciousness, for unruliness, for greed, for addiction, for loss of mind and destruction of nature. As for nature, it is reality, it is suchness, it is perfection, it is innocence, it is purity, it is serenity. When you get near it, you become wise and upright. In the near term, it makes people decent and upright; in the long run, it makes sanctified spirits and great sages. This is what underlies the fact that sages educate people with teaching about nature, not feeling. Feeling and nature exist in beings always, as ever. When you try to find them out, you cannot grasp them; even if you try to cut them off, they do not end. Sky and earth have an end, but the soul of nature does not die out. Different states of mundane existence may alternate and change, but the burden of feeling does not dissolve. Therefore society has to distinguish between the meanings of feeling and nature. If people are educated on the basis of feeling, they remain within birth and death. If people are educated on the basis of nature, they get beyond death and birth. The education of feeling is short-ranged; the education of nature is long-ranged. If you pretend to be beyond death and rebirth and take a nihilistic view of them, then you are ignorant of the pattern of nature and you cut off the source of continual regeneration. Small knowledge cannot reach great knowledge; the final destination of a game hen is the cooking pot, is it not? When the mind stirs, that is called activity. Coordinated activity is called experience. Experience refers to both the internal and the external. Whose mind does not stir? Who does not experience the activities of myriad beings? The pattern of activity is recondite; the momentum of experience is far reaching. Therefore people do not notice and do not fear. The education of sages is to be careful of activity, so people will be on the alert, so that they will beware of stirring in the mind. Internal experiencing is called beckoning, and external experiencing is called response. Beckoning is considered the cause; response is considered the result. The concrete and abstract forms of cause and effect are all involved. Now then, movement in the mind may be perverse, or it may be harmonious; this is why good and bad feelings arise therein. Once good and bad feelings occur, then calamity and fortune come in response. To the degree that feelings are more or less shallow or deep, the consequences are more or less light or heavy. The light may be shifted, but the heavy cannot be removed. Good and bad may precede or follow; calamity and fortune may be slow or swift. Even after ten generations, or even ten thousand generations, it is impossible to escape experiencing consequences. It is not only a matter of just one generation. Those who doubt this just because good and bad do not show results in one generation are ignorant of causality. If rewards are not based on correct causality, then how can good people be encouraged in society? We do not see trees growing, yet they flourish day by day; we do not see a whetstone wearing down, yet it diminishes day by day. That is how it is with human actions, so how can we not be careful?